Coffee, craft beer, community — and waffles — are the things Café Evoke does best. Since it opened in Edmond, Oklahoma, in 2012, the trendy “social sip bar,” as owner Jason Duncan calls it, has helped revitalize the city’s historic downtown. Coffee aficionados can keep their caffeine fix fresh with a rotating list of roasts sourced from around the country. Foodies can indulge in a Belgian-style waffle sandwich with a fried egg, ham, cheese and pesto mayo, or a decadent order of s’mores, served tableside with a mini burner and waffle crisps instead of graham crackers. 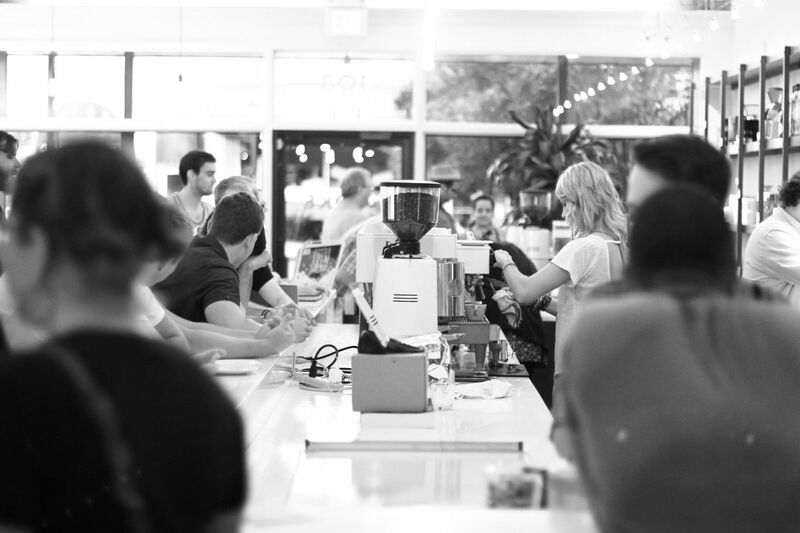 Café Evoke has become a social gathering place for locals in Edmond, Oklahoma. Patrons enjoy conversation, coffee, craft beer, and EVOKE’s signature Belgian-style waffles. But ultimately, Café Evoke is a gathering place. Its “Sip slowly, sip often,” slogan, long hours and laid-back atmosphere encourage regulars and visitors alike to come in and stay. Duncan got the idea for Café Evoke as an entrepreneurship student at Belmont University in Nashville, Tennessee. He spent his last two years there researching and writing a 75-page business plan for his future company. After graduating college in 2005, Duncan and his wife, Jenni, moved to Montana to open up shop. With their own money and help from family, they started Café Evoke Catering, which brought a full-service coffee bar to local events, weddings and festivals. In hopes of expanding, Duncan tried to get funding from banks, but couldn’t get approved for a loan because of his lack of managerial experience. 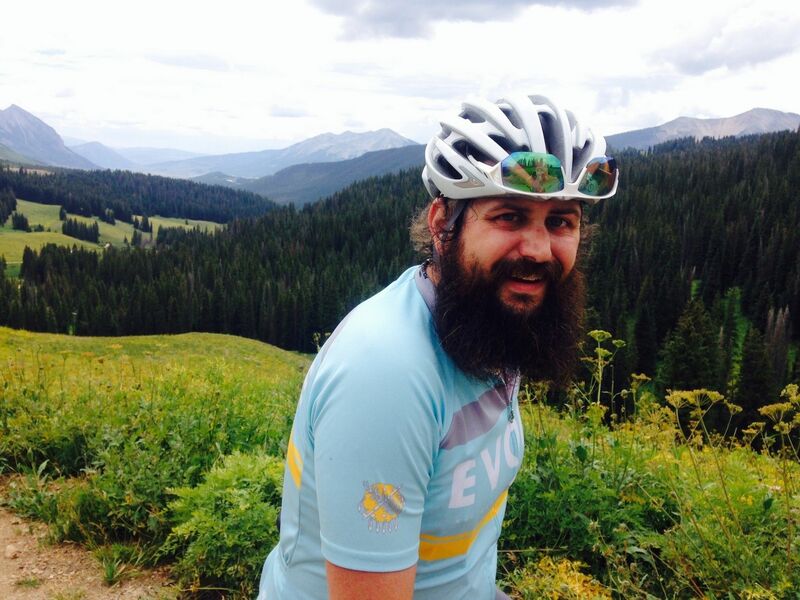 Café Evoke’s owner, Jason Duncan, rides his bicycle wearing an Evoke Cycling jersey. Both Café Evoke and Citizens Bank of Edmond sponsor the cycling club and racing team Duncan started. The couple moved back to Duncan’s hometown of Oklahoma City for a fresh start in 2009. Again, Duncan tried getting a bank loan, and this time provided everything the bank and Small Business Administration asked for. He was rejected again. In the meantime, Duncan continued the catering company and started taking on corporate clients, including Citizens Bank of Edmond. By 2012, he was finally able to use financing from a public family trust to open a brick-and-mortar store in downtown Edmond, across the street from the bank. A locally owned and operated institution, Citizens Bank of Edmond provides term loans, lines of credit, and commercial development and real estate loans to small businesses in the area. Duncan quickly developed relationships with employees at the bank, where he does both his personal and business banking. He texts the tellers, and the staff know his family and 17 employees. The EVOKE Sip Truck parks at cycling events, festivals and universities to serve coffee, espresso drinks and pastries. Duncan purchased the truck in late 2014 using funding from Citizens Bank of Edmond. Duncan and Castilla have bonded over their similar ideas for downtown Edmond. They both support local businesses and envision a fresh feeling for the historic district. After almost two years running the shop in downtown Edmond, Duncan was ready for something new: a mobile coffee truck. 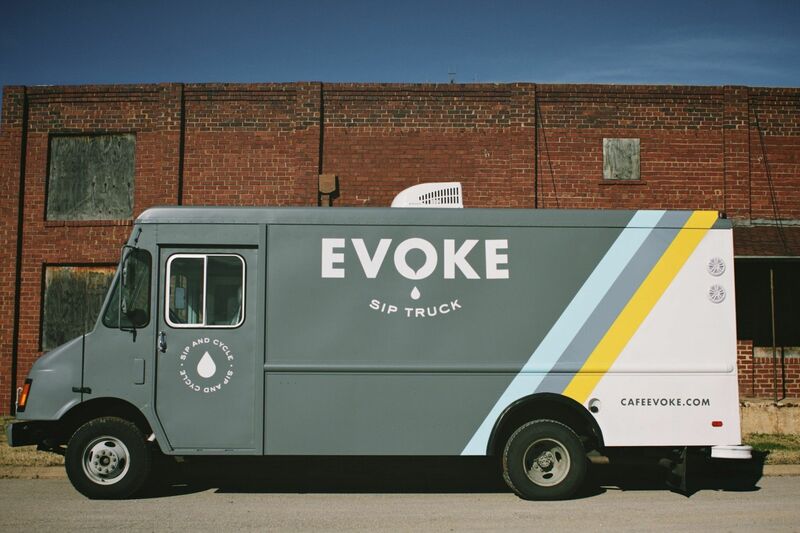 He borrowed $50,000, backed by the SBA, from Citizens Bank of Edmond and opened the EVOKE Sip Truck at the end of 2014. Now he parks it at cycling events, festivals, universities and food truck gatherings to serve coffee drinks to people around the state. Castilla’s advice to small business owners looking for funding is simple: establish a relationship with your community bank. Beyond that, she says lenders consider character, collateral and cash flow when determining if a business is worthy of a loan. Lenders want to feel confident that borrowers are invested in their companies and dedicated to working towards success. A good individual or business credit score helps demonstrate this. 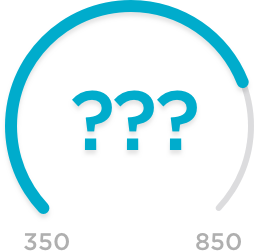 To ensure a loan’s repayment, lenders want borrowers to pledge their physical property or assets, also known as collateral. If a borrower doesn’t have collateral, they can ask a family member or friend to sign as a guarantor. Lenders want to see that a business is making money, or at least projecting future earnings. Tax returns and financial statements can help prove this. Of these three factors, Castilla believes character is the most important.